renderings show a series of modular islands populated by mid-rise structures built using a mixture of glass, timber and bamboo. the houseboat features a long, slender, rounded shape, reminiscent of nautical designs. 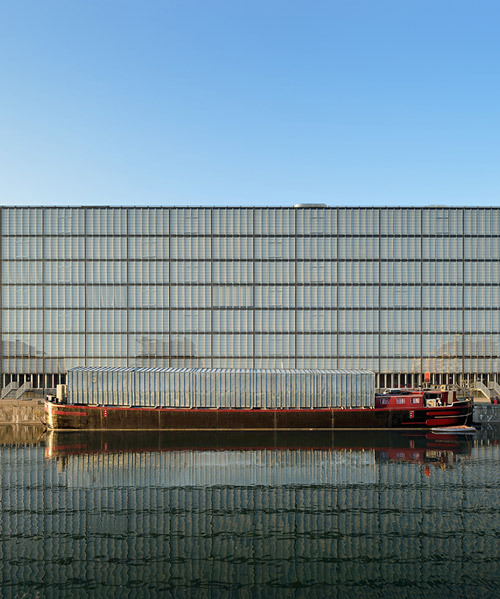 40 meters long and 5 meters wide, the cabaret onirique is located in a barge that was built in 1936 and now is moored in strasbourg. the structure is made up of a mobile naval architecture piece equipped with autonomous energy and developed on a geometry which enables the vessel to adapt to any marine conditions, even the extreme ones. the three structures, clustered around a communal plaza, serve as an open air concert hall, an indoor exhibition space, and a small information center. the interior design reflects the excellence of the world’s most michelin-starred living chef alain ducasse, as well as the novelty of this directional project. 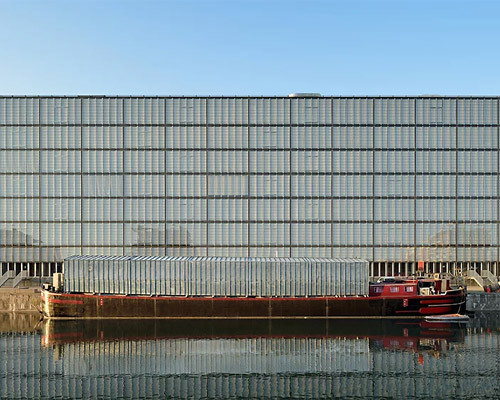 the high-tech, multilevel facility will float in the water in rotterdam, located roughly 50 miles outside of amsterdam. designed by thailand-based dersyn studio, the resort features individual 'raft-like' accommodations for guests to tune into the environment. built with 25 wooden columns, the geometric 'island' serves as an instrument for observation on the waters of the presa de la boca lake. 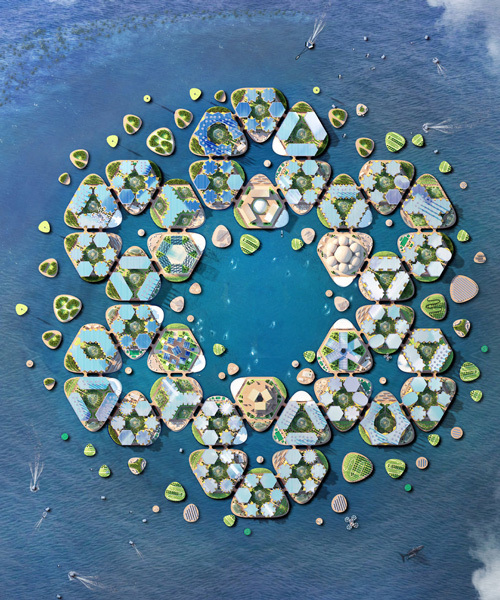 united plastic nation is a self-sufficient structure that grows both vertically and horizontally using plastic waste. the half-submerged sculpture floats as a comment on the 'sinking' of reason amidst recent sociopolitical events including brexit and donald trump. besides their positive environmental impact, the hexagonal blocks are beneficial for the river's ecosystem, as they offer a habitat for micro and macro fauna. everything onboard has been planed meticulously from the interior to the menu, thus offering the rare luxury of traveling leisurely down the mekong. the pavilion provides a resting place for visitors of exhibition 'odyssee' on möhnesee lake as they swim from artwork to artwork. 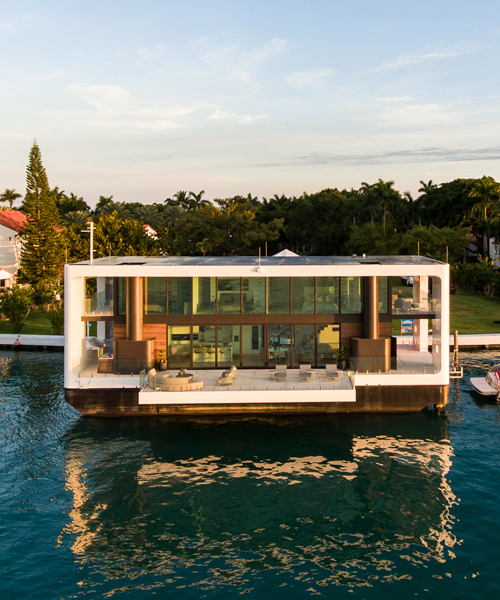 this eye-catching organic structure offers a peaceful retreat on the water's edge. pierpaolo lazzarini's wayaland offers a new offshore living alternative, with influences from mayan architecture and japanese temples. the yacht aims at being an inexpensive solution for mobile and easily modified life on water that adopts for customer needs. 'Ø1' – named after the danish single-letter word for island – is open to everyone, and has so far been used for stargazing, BBQ’ing, winter bathing, fishing and more. 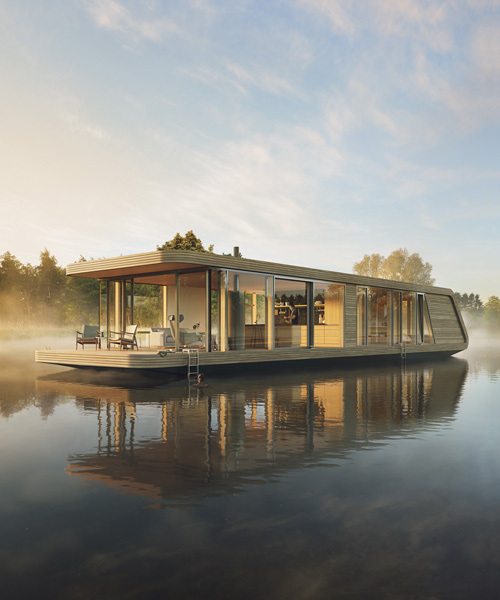 the floating capsule can accommodate up to three guests and has two floors, the first for sleeping and the second for lounging. 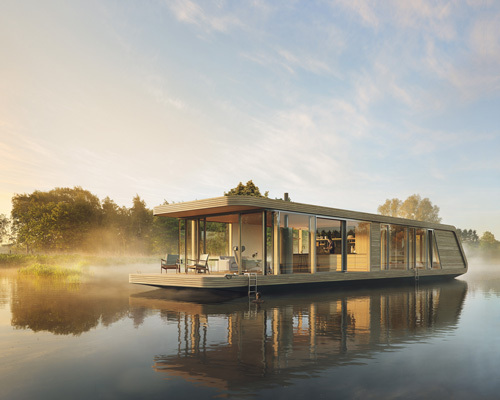 a dock, seaplane mooring and impressive interiors within an entire unit that can be disassembled and put in a truckall transportable - could this be the future for relocatable water-borne housing? 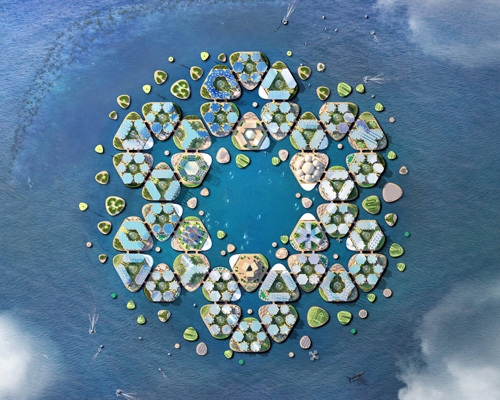 having done the analysis of the site's current condition, DFA designed a solution to the floating structure's future development. the buoyant building contains 19 passenger cabins, all of which have ocean view and terraces. in order to protect the unspoiled region from obtrusive structures, the architects sought to camouflage the buoyant buildings with the existing landscape. although with a similar idea in mind, the boats—each one occupied by one artist—serve as traveling studios but with different purposes. located on the lule river in northern lapland, the hotel and spa will float during the summer and be suspended in the ice in winter days. 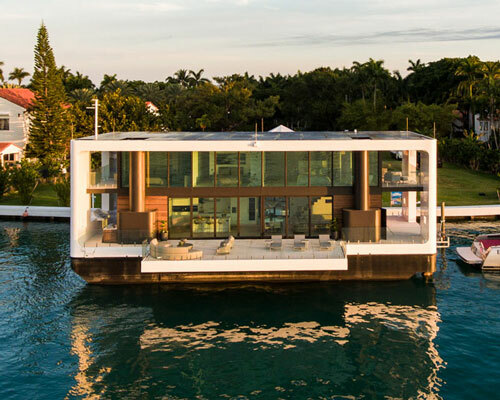 the nautilus house boat follows the evolution of the floating home, transforming it from a simple hideout to a modern house. being shot all over quebec, the l'abri's little house is part of the documentary about a couple traveling, having no idea of where they are going to wake up.